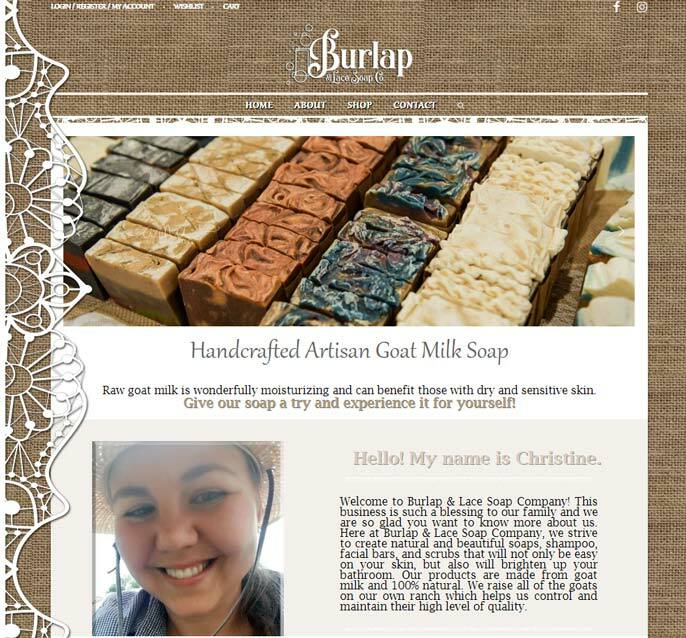 Burlap & Lace Company is a local Northern Colorado family owned business producing soap and bath products. Their products are made from goat milk and 100% natural. They raise all of the goats on their own ranch which helps them control and maintain their high level of quality. 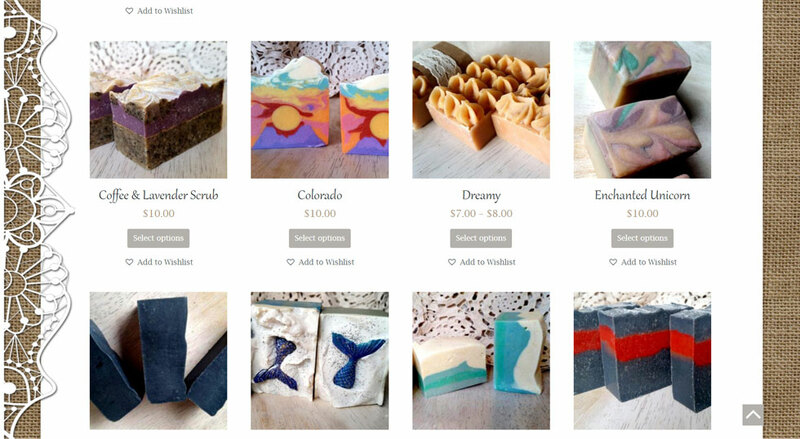 On their farm every day they strive to create natural and beautiful soaps, shampoo, facial bars, and scrubs that will not only be easy on your skin, but also brighten up your bathroom. The owners of the website were looking for a new and interesting way to engage their current customers and increase their client base. They wanted to improve the design of the website, it’s usability, and highlight the beauty of their products. They also needed a subscription functionality to allow their clients to subscribe to their products monthly, every 2 months, or every 3 months. The purpose of the Website redesign is to make it more visually appealing and attractive to customers. It is also important to add functionality and automation to make managing the website, ecommerce, and orders easier for company managers on the backend, and more convenient for the clients on the frontend. We built a beautiful WordPress website using custom modifications for the theme. We also modified all the company’s product images, making them more visually appealing and improving intuitive purchase rate. Astash built a woocommerce website and added custom functionality to it. We added subscriptions options that allow customers to subscribe to each product in the store or send a subscription gift box. We also created gift wrapping and gift boxing options that would allow clients to add gift wrap to their products and to add a card with a message. This functionality also helps the managers of the store cut down on time talking to the clients about details and charge for the work and materials of gift wrapping. What is more, we build this website with the goal to make it easier for the store owners to manage WordPress platform. The custom shipping functionality calculates the cost of labels for the customer to pay for shipping using live API rates from USPS, and the backend functionality allows the managers to print that label right from the order panel. At aStash we provide Fort Collins web design & development. We have experience and knowledge in online marketing for small businesses. Whether you need a custom ecommerce web design, social media marketing, or Fort Collins SEO services, we can help! See more about our Fort Collins web design services.